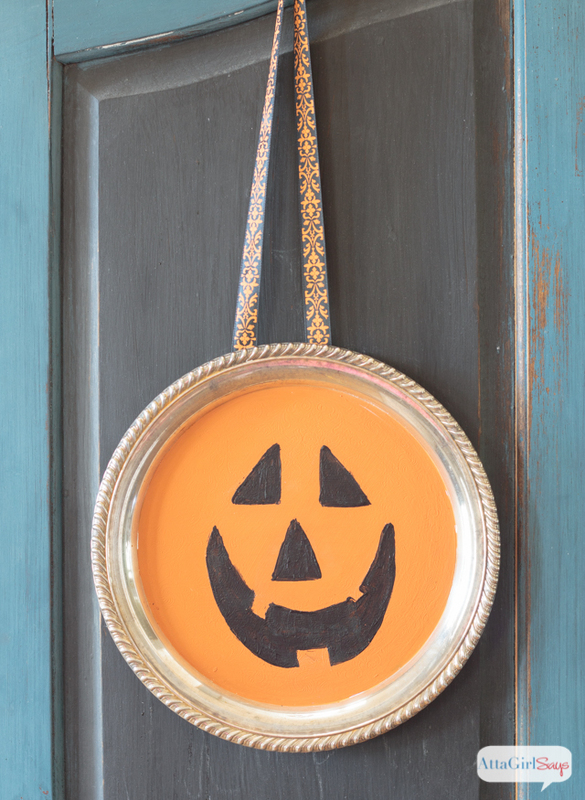 In less than 15 minutes, repurpose an old silverplated tray into a festive jack-o-lantern wall hanging or wreath for Halloween. 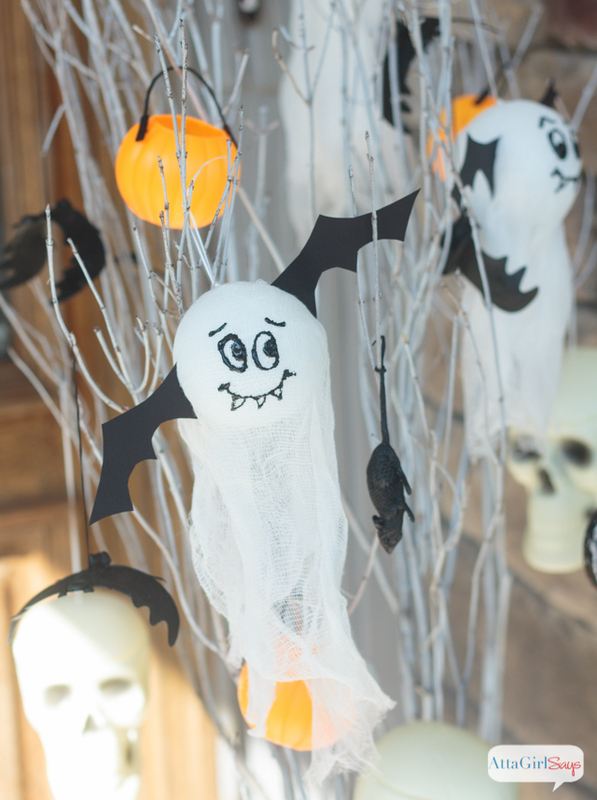 I just love decorating for Halloween, so I couldn’t resist participating in this month’s Halloween Edition of Craft Lightning. All projects have to take 15 minutes or less to make, excluding drying time. 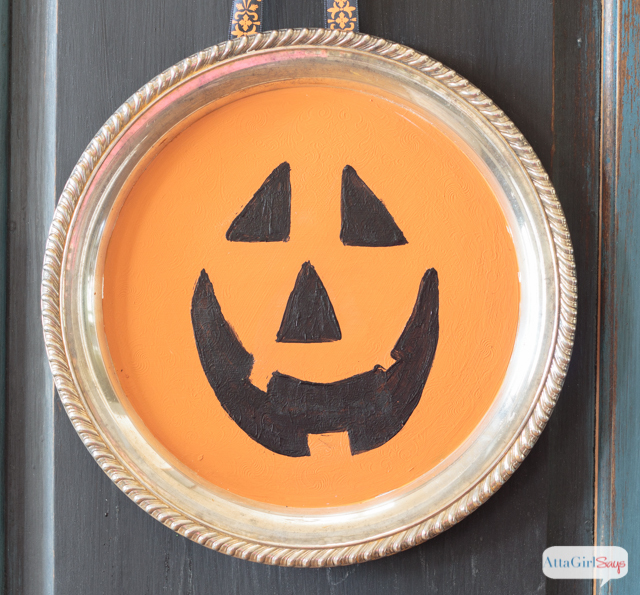 I made this cute jack-o-lantern wall hanging (or wreath) from an old silverplated tray I rescued from the Goodwill pile. It was way easy — and super fast! 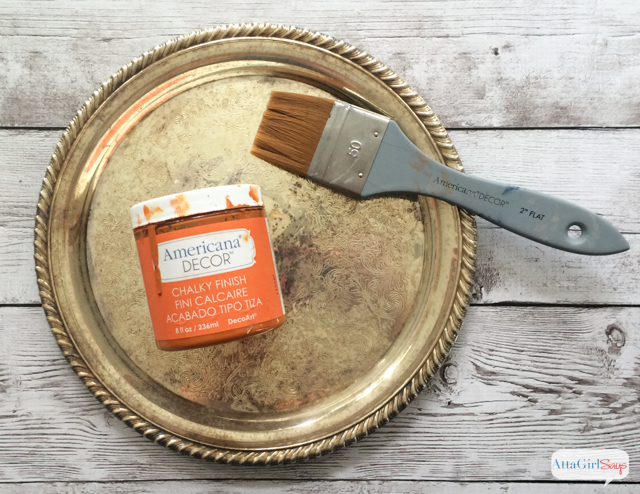 To start, I shined up my tarnish tray with some silver polish and painted the center with two coats of DecoArt Americana Chalky Finish paint in Heritage. 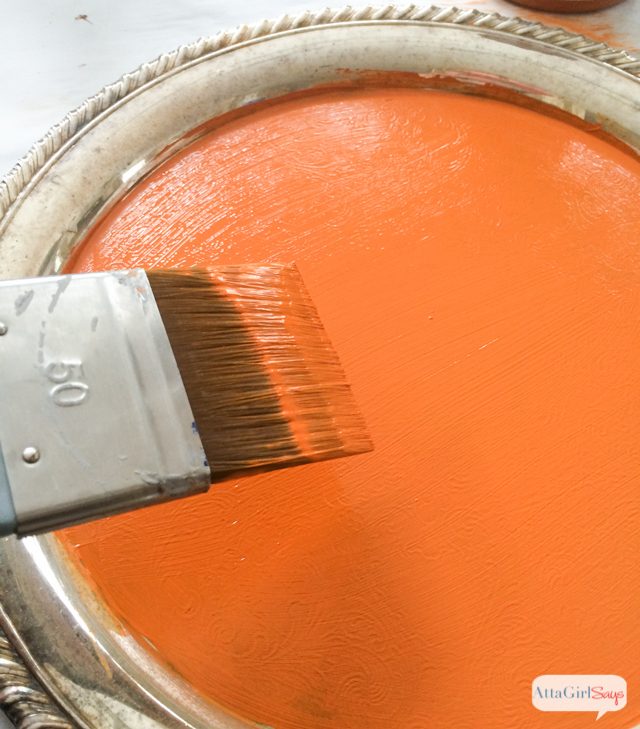 If you get some paint on the rim, just wait until it’s has dried and use a wet cotton swab or a damp paper towel to clean up any mess. 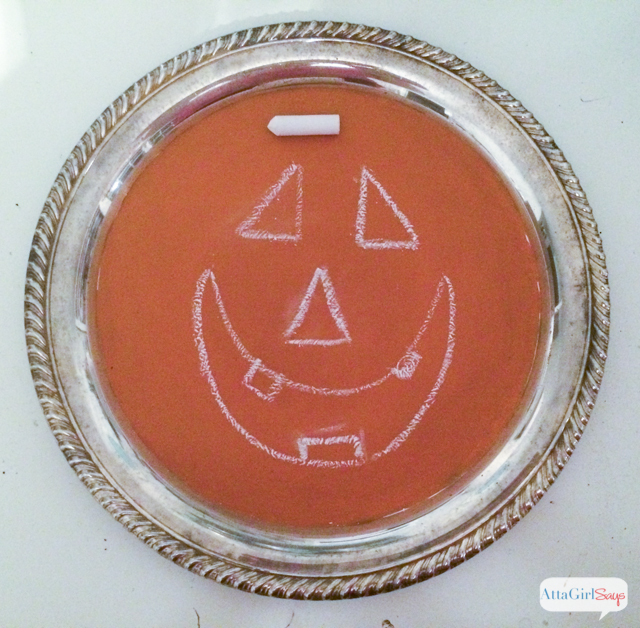 I used chalk to sketch out my jack-o-lantern face. 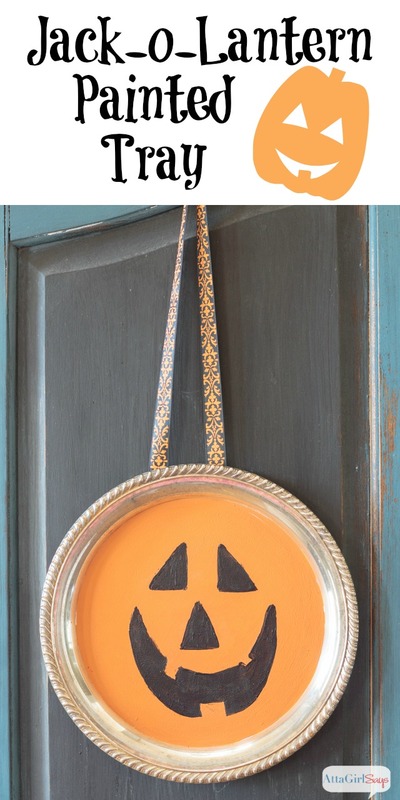 Though I usually favor scary Halloween decorations, I wanted to make this guy kid-friendly. So I painted on a goofy face, using DecoArt Americana Multi Surface Satin acrylic paint in Black Tie. 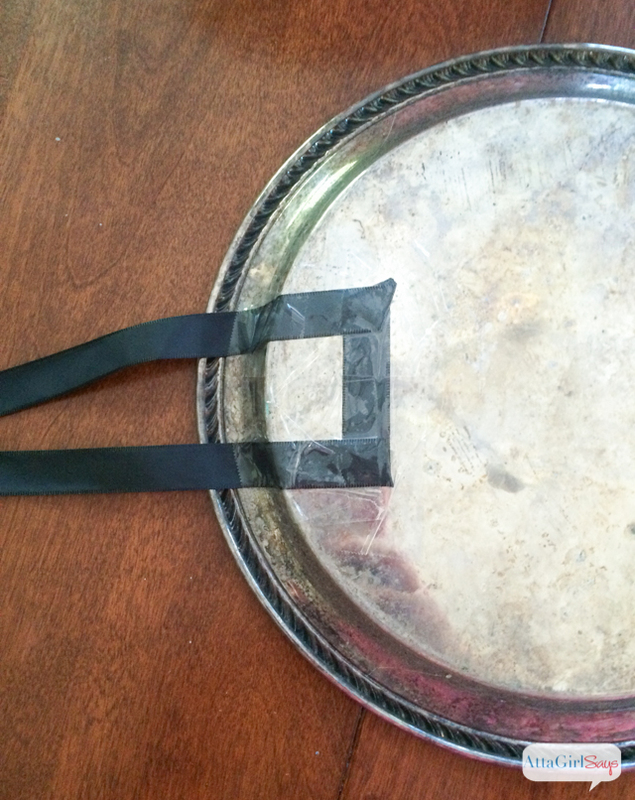 Make note of how I folded and positioned the ribbon on the back. 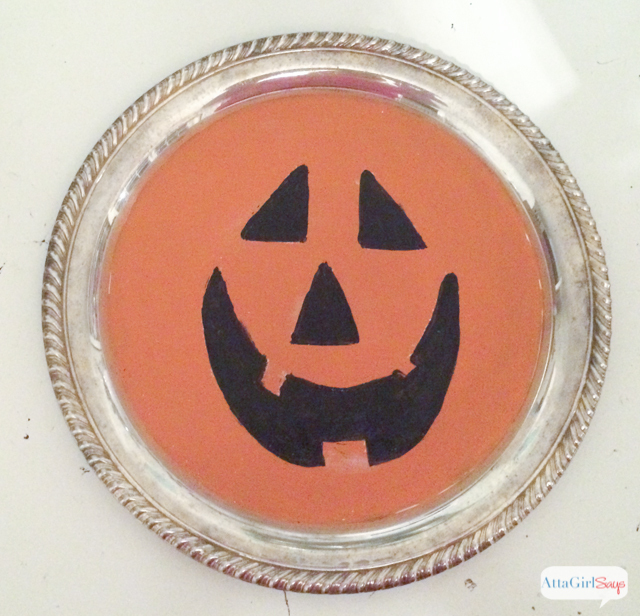 This will ensure the jack-o-lantern wreath hangs straight and level. I think he’s pretty darn goofy-cute. 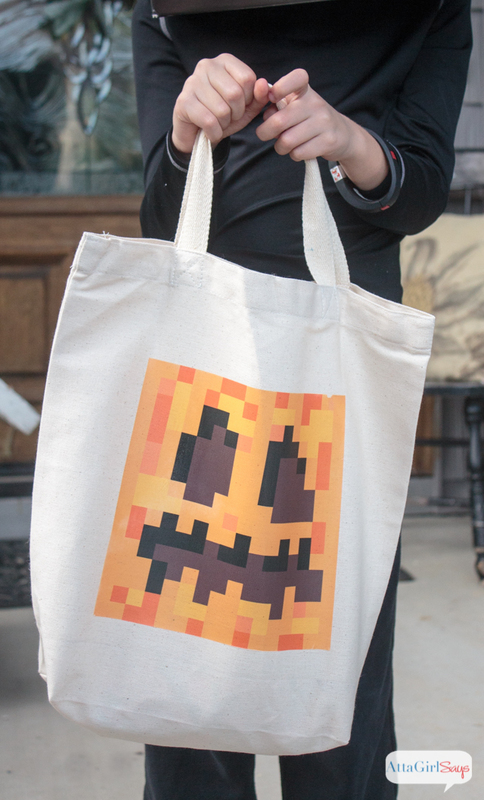 Don’t forget to visit the rest of the Craft Lightning Halloween bloggers. 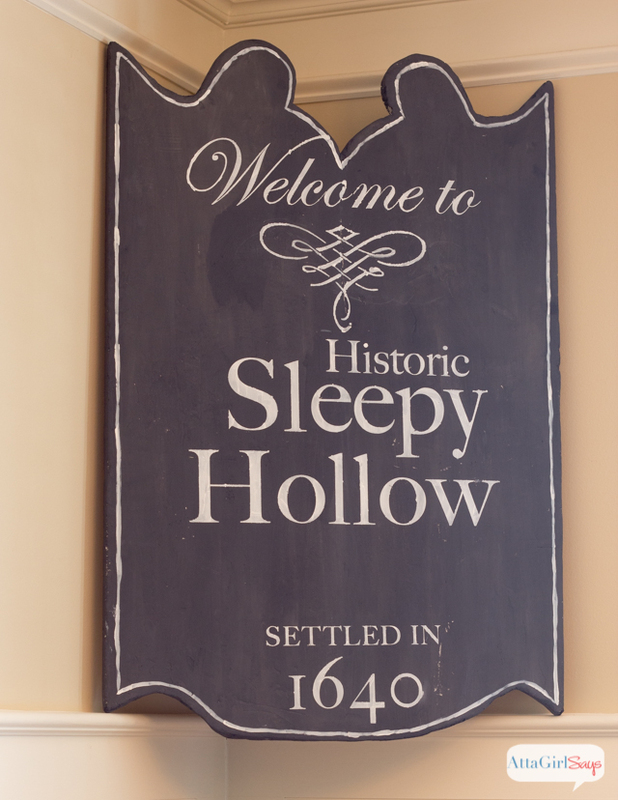 So simple, yet adorable… and upscale too! He does have a little bit fancy going on, doesn’t he? This is adorable! 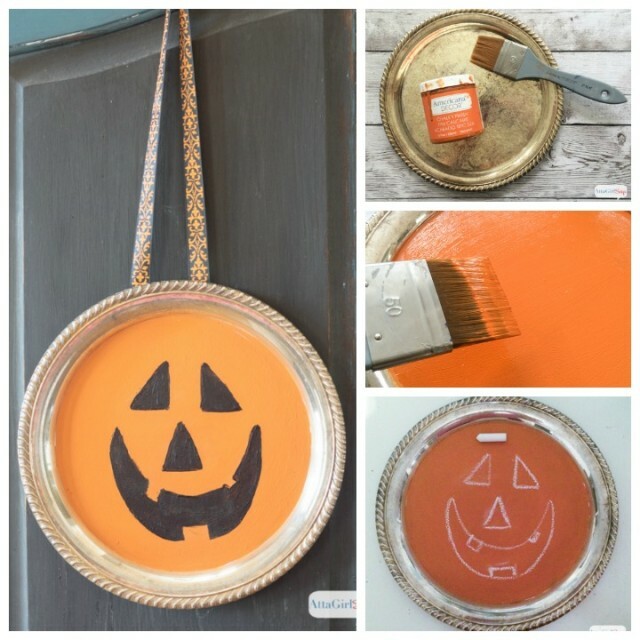 I have so many of these trays in my craft room I think I’ll give this a try. I think I bought this one years ago with the intention of turning it into a chalkboard. I was about to get rid of it when inspiration struck.